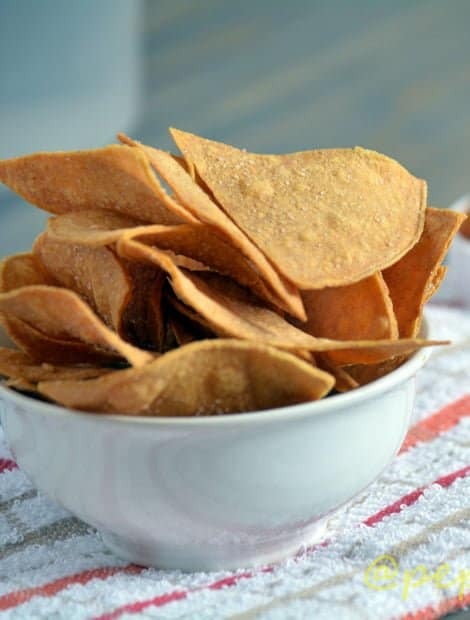 Baked Tortilla Chips Recipe / Baked Corn Tortilla Chip Recipe is the best snack that can be made without any efforts. Have you ever little hesitated to munch on the store bought tortilla chips, because of its calorie content and sodium content? No worries, you can adjust everything according to your taste and wish. These Corn Tortilla chips are very easy to make, just cut them and pop them into the oven..that’s it, they are done. They are very firm, crispier, tastier, crunchier. Corn tortillas are the flatbread made with maize(corn) flour. Today I made these chips from the store bought ready made tortillas. 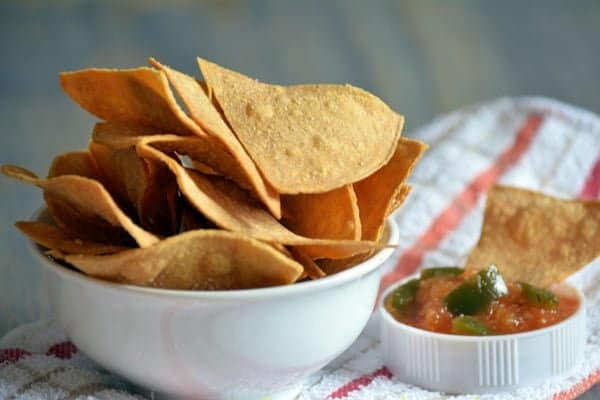 Tangy tomato salsa dip makes these tortilla chips even more interesting. I will come up with the recipe to make corn tortillas from the scratch for another occasion. But today is lazy Sunday, let go with the easiest version. Have you checked Soft Pretzel Recipe, which is another interesting recipe from pepperbowl? 1. 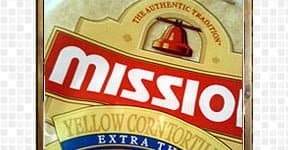 I bought yellow corn tortillas, you can go with any version of ready made tortillas. Mixing with spinach tortillas adds little drama to the dish. Just cut tortillas into six wedges, triangles with the scissors. You can also go with any other shapes like squares, strips.Arrange them in the aluminum foiled or greased tray. Make sure not to overlap it. 2. Sprinkle salt and spray cooking oil, flip it over and again sprinkle salt and spray oil. Pop them into the preheated oven with 350 degrees. Bake them for about 10-14 min, by flipping them once in between. Keep an eye on it, as it should not get burned. 3. Let them cool and bring it down to the room temperature. Then it becomes, even more, crispier. Serve it with tangy salsa, hummus, fresh salad, mayo, ranch. 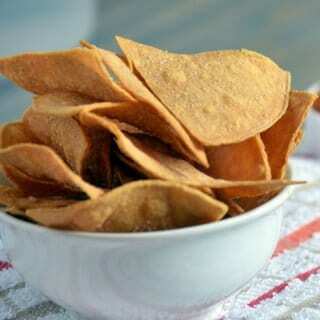 Baked Tortilla Chips Recipe / Baked Corn Tortilla Chip Recipe is the best snack that can be made without any efforts. 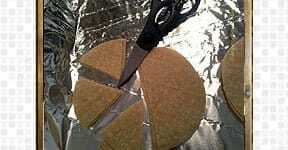 Cut tortillas into six wedges, triangles with the scissors. Arrange them in the greased baking tray. Sprinkle salt and spray cooking oil, flip it over and again sprinkle salt and spray oil. Bake them for about 10-14 min, by flipping them once in between. Let them cool and bring it down to the room temperature. Then it becomes, even more, crispier. Serve it with tangy salsa, hummus, fresh salad. 1.If you are preparing in lots, bake one tray at a time. 2.Any type tortillas can be used. 3.baking time varies from oven to oven…so check and adjusts to your oven settings. Love these crispy chips,nice idea. That is really crispy chips.